John Wayne knew that leadership is something inside all of us, waiting to be expressed. Leadership wasn’t something to be sought, but rather something that came out of our values, our character as people. We’re looking for leaders to help us spread the John Wayne legend to future generations. 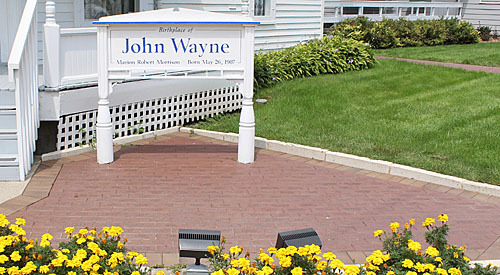 Since 1982, the John Wayne Birthplace has drawn over a million visitors to see the small house where John Wayne’s life began. Our new John Wayne Birthplace Museum enhances that visitor experience, with 6,100 square feet including a theater, gift shop, and gallery display area with artifacts and exhibits documenting his life and career. This new facility provides an exciting experience for the whole family. Tribute Bricks will be placed on the walkways around the Birthplace home. Will you be one of our Leaders? To help finance our ambitious effort to keep the legend of John Wayne alive, we have created a program to recognize the films of John Wayne and honor those who embrace him as a true leader. You can support the museum with a Tribute Brick. You will be permanently recognized for your support of John Wayne and the character for which he stood. Please consider our Tribute Bricks to show your support of John Wayne and the efforts of the John Wayne Birthplace & Museum. After you pay for your Tribute Brick, please come back here and enter the copy for your brick. Click “Submit” to send the information to our museum director. Please provide information to customize your brick. Of course, donations in any amount support the work of the John Wayne Birthplace & Museum and all donations are tax deductible. The John Wayne Birthplace society also encourages you to consider remembering our organization in your estate planning. For additional information, contact us and a representative will get in touch with you. Thank you for your support! Your contribution is tax deductible to the extent allowed by law. 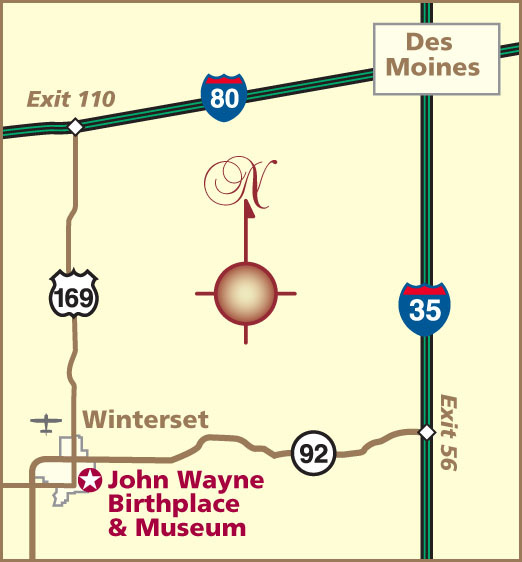 The tax identification number of the John Wayne Birthplace Society Ltd., a not-for-profit 501(C)(3) corporation, is 42-1207533.